As a Chicago property owner or HOA board member, you need to know how to keep proper fire safety records in Chicago. This is critical as your fire inspections could lead to costly fines if you do not keep accurate records of maintenance, upgrades, updates, and even inspections themselves. It is important that you have someone in your corner helping you to do just that. Connected Fire Safety Services is a company that specializes in assisting you with making sure everything is taken care of and in proper order before your inspection. Take a look below at some of the amazing services they can offer you when it comes to Chicago fire safety for your building. You do not want to leave this to chance. Be sure you’re taking advantage of all their services for your Chicago property. Do you know what portable fire extinguishers and other safety items you have on hand? Could you produce a list of all items that have been put in place? If not, then this is one feature you do not want to miss. Connected Fire Safety Services keeps an accurate inventory of all your safety equipment. Every time a technician visits your site to perform fire extinguisher maintenance or anything else, they update the master inventory list with what is on-site. This helps you to be prepared for any surprise inspection. It is important that you know exactly what you have and what is needed. If you’re new to managing or owning a building, this can be a great asset. The analysis will inform you of all that is in the building and what you need to update. If there are fire extinguishers that need to be serviced, smoke detectors that don’t work, emergency lighting that is out or needed, then this needs assessment will give you all those details. You must have a working knowledge of where your fire safety in your Chicago building stands and this is how you can easily do it. Your fire safety equipment will need routine maintenance and checks. This is something that can be deadly in case of a fire if not kept up on a regular routine. The team at Connected can help you make sure that everything is in good, solid working order so that you’re assured of the safety of your tenants. Don’t forget that all of these items that you have done have to be recorded. 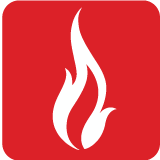 Connected Fire Safety Services offers an online portal where all your records are kept. You have access to this site around the clock making it easy to show your surprise inspector. These are also a must if you ever experience a fire in the building. It will help to show that you have done your part in keeping the building and residents protected. Be sure to contact Connected Fire Safety Services for all your fire extinguisher maintenance in Chicago. You can rest easy that you’re ready for an inspection at any time.